Portuguese Association for Victim Support (APAV). A change of legislation grants more protection to undocumented migrants in Portugal such as a residence permit for victims of domestic violence under certain conditions and immediate legal support paid by the state and medical treatment for those in detention. However, undocumented migrants cannot fully benefit from these protection measures due to a regulation obliging authorities to report undocumented migrants. The Portuguese legal framework of Entry, Stay, Exit and Removal of Foreigners of the National Territory (Law nº 23/2007) was recently modified (by Law nº 29/2012) in order to conform the national legislation to a number of Council of Europe’s directives that rules immigration of third country nationals to Member States. Immediate legal support provided by the state. The majority of undocumented migrants identified by the authorities in Portugal, receive notification to leave the country and are not detained. In 2011, out of the 4.636 identified undocumented migrants, only 235 were placed in a Temporary Installation Center (CIT) to wait for removal. However, the new law now guarantees the respect of fundamental rights of those who are detained and their access to justice in a reasonable time. 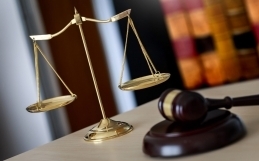 To improve the protection of victims of domestic violence, the new law grants an independent residence permit to victims who were reunited with the offender and became victims of domestic violence, if the offender is criminally charged. Before this legal amendment, victims had to have the support of their husband/partner to maintain their regular status during the first two years of residence and would usually be reluctant to report domestic violence. Nonetheless, undocumented migrants do not benefit from the new legislation at large. Portuguese authorities are obliged to notify border services when they identify an undocumented migrant, even if he/she is a victim of crime. This means that if a victim of any type of crime (including domestic violence) is undocumented and reports the crime to authorities, his/her documental status will be reported to border services and as a consequence he/she may face a removal procedure or even administrative detention. Concerning the protection of family unity, the new legislation improved the regulation of removal of undocumented migrants who have children in their charge living in Portugal, regardless of the nationality of the children. The former legislation was for the benefit of family units of parents with Portuguese children but now the rules for Portuguese and foreign children are the same. However, a guarantee for family unity is not applicable if the children are also undocumented. 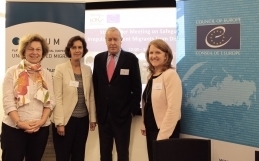 In implementing the Employers’ Sanction Directive (nº 2009/52/CE), the Law 29/2012 criminalizes the employment of undocumented migrants aiming to fight irregular migration to Portugal. However, obtaining a work contract has been the most common path to regularization for undocumented migrants in Portugal. 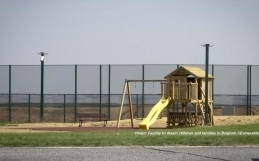 This new criminalization now seems to create an obstacle for undocumented migrants to legalize their status and it hampers the possibility of integrating undocumented migrants through the exercise of a professional activity.Concerning the protection of family unity, the new legislation improved the regulation of removal of undocumented migrants who have children in their charge living in Portugal, regardless of the nationality of the children. The former legislation was for the benefit of family units of parents with Portuguese children but now the rules for Portuguese and foreign children are the same. However, a guarantee for family unity is not applicable if the children are also undocumented. The Portuguese legislation provides important rules for the protection of undocumented migrants in many fields such as access to education for undocumented children, access to health and the guarantee of fundamental rights in cases of detention. But there is still a lack of protection of undocumented migrants in vulnerable situations. Concerned about this, we highlight that it is impossible for most undocumented migrants to get legal aid from the state and the legal obligation of police forces to report undocumented migrants to the border services is an additional barrier. The law should urgently address these situations in order to protect the fundamental rights of undocumented migrants. About APAV: The Portuguese Association for Victim Support (APAV), through the Support Unit for Migrant Victims and Victims of Racial and Ethnical Discrimination (UAVIDRE), provides legal, psychological and social support to victims of crime and discrimination regardless of their residence status in the country. APAV promotes the effective protection of every victim of crime and works together with private and public institutions to guarantee the respect of fundamental rights of undocumented migrants subjected to violence, exploitation and discrimination.